Carbon fiber is a unique material that can be applicable for use in a variety of products but is also costly, tedious to work with, and is generally best for flat panels or hollow enclosures. 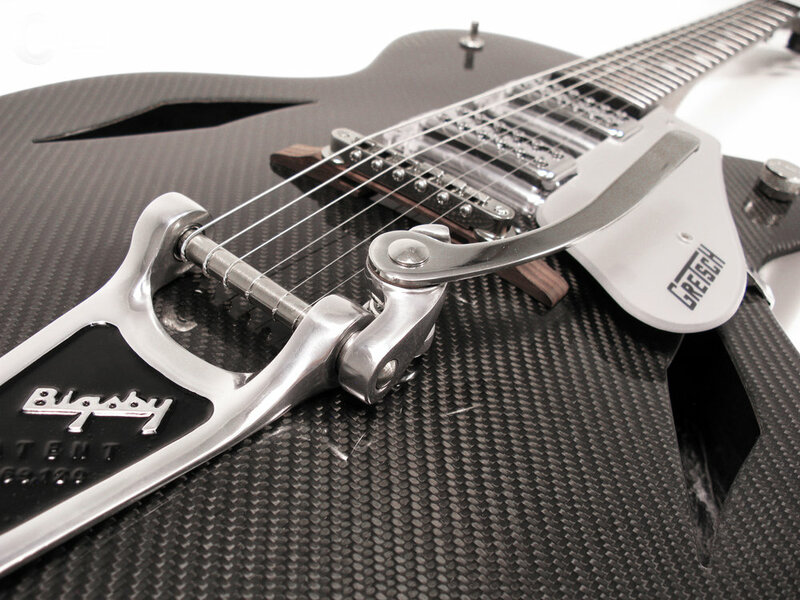 Inspired by the hypercars and high-end musical instruments that utilize this composite in mass production, and the admirable craftsmanship of the custom guitar world, I decided that this might be the perfect material for rock and roll, too. While brainstorming unique applications for carbon fiber, I discovered that cellos and violins, and their cases, were being made in carbon fiber already, thus a similar instrument was feasible. Thanks to the encouragement of my professor, John Wanberg, a nine-month labor of love began with this Photoshop rendering. © 2019 Joe Costello | All rights reserved.